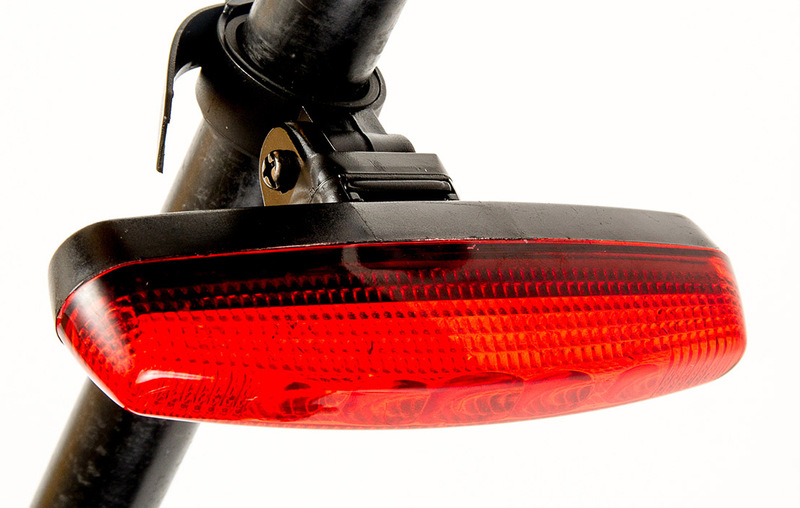 We tested 61 bike lights costing $100 or less. This report is free thanks to funding from Wellington City Council. We measure lux at 0°, 20° and 45° in our lab. Many manufacturers claim a light output in lumens, the total amount of light available, but we think lux (lumens per square metre) is a better measure of light performance as it shows the quality of light, not just the quantity. A good front light should make you visible to drivers at junctions, so we calculate light performance combining 40% of the score at 45°, 40% at 20° and 20% at 0°. A good rear light needs to be most visible to drivers overtaking from behind, so we calculate light performance combining 40% of the score at 0°, 40% at 20°and 20% at 45°. “In-use” performance (50% of the ease of use score) includes turning the light on and off and selecting the mode (with and without gloves), usefulness of the battery indicator, and robustness of the mount to knocks and vibration. Daily convenience (30%) includes removing and refitting the light, charging or changing batteries and carrying it in a bag. Ease of fitting and versatility of the mount adds the final 20%. We thoroughly doused the lights with a garden sprinkler. We checked they all worked correctly while soaking wet, then inspected for any water inside the lens and battery compartment or charge port. We don’t include water resistance in our overall score, but we won’t recommend lights that show signs of water ingress. We measured the burn time of USB rechargeable lights on their maximum steady setting. We noted if they switched to low-power mode before the battery ran out.